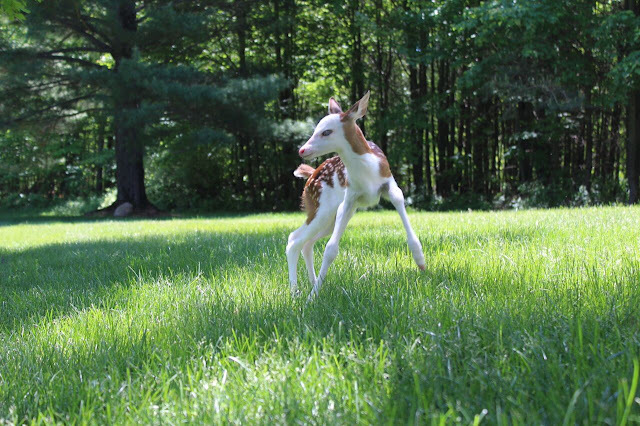 An abandoned baby deer is finding a fairytale ending on a Michigan farm. 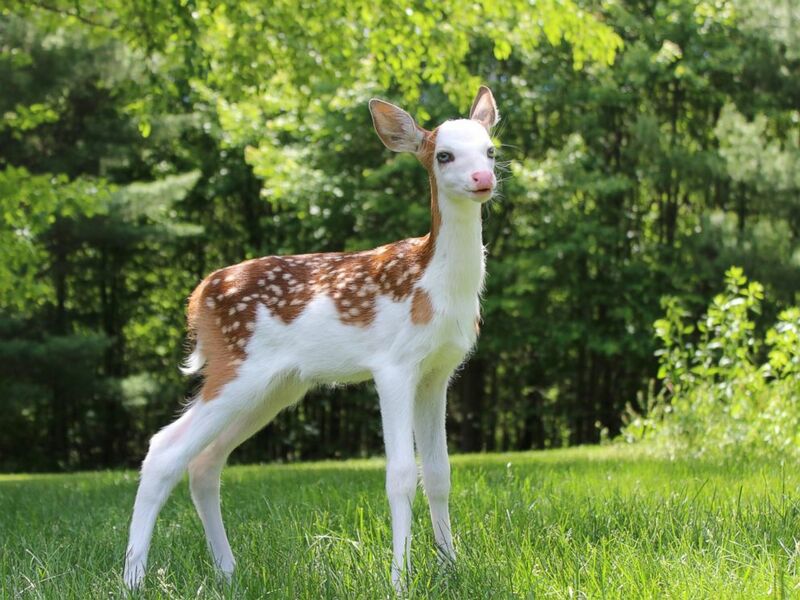 A rare white-faced fawn has found a loving home at a Michigan animal farm after being rejected by his mother after birth, MLive.com reported. The baby deer, named Dragon, is just a week and a half old and is as adorable as his name is fierce. Dragon was born at Deer Tracks Junction, an animal farm in Cedar Springs, Michigan, according to Fox 17. The farm’s owner and the fawn’s human surrogate mom, Hilary Powell, explained to the news outlet that Dragon was abandoned by his mother, likely because he was born with a white face that would make it difficult for him to survive in the wild. 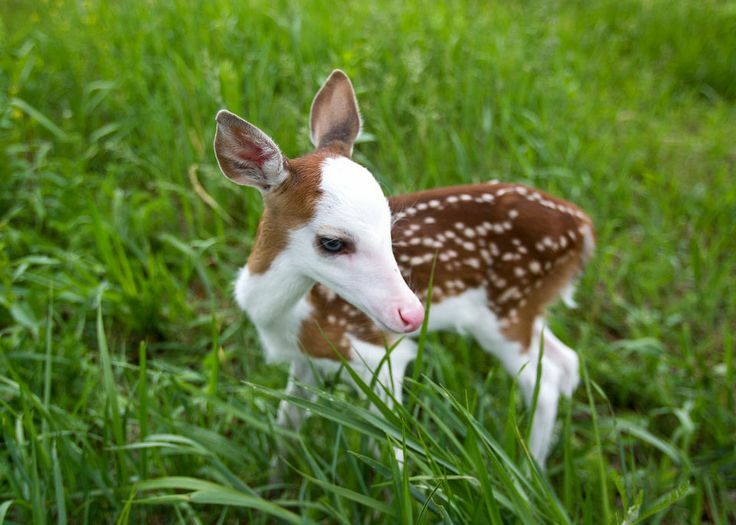 “In the wild, they are very, very rare,” Powell said of Dragon’s species.The fawn’s mother, a doe named Bunny, is a whitetail Piebald deer. 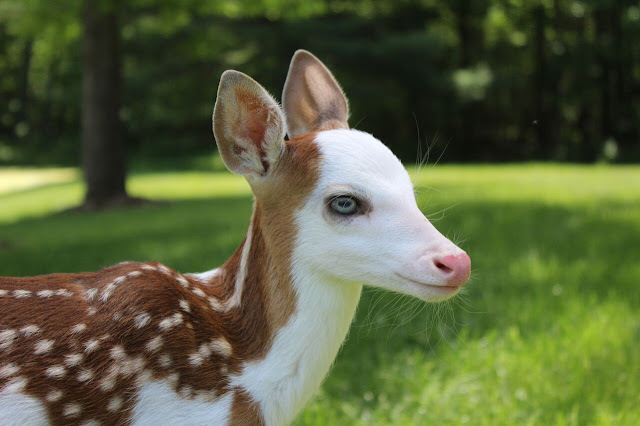 Born with bright blue eyes and a pink nose, Dragon was disowned after birth probably because he didn’t look like the other fawns, Powell told MLive.com. But little Dragon is being cared for with lots of love now. Powell and her family will continue to feed the little guy with a bottle until he’s ready to meet farm visitors and join in on the deer games. 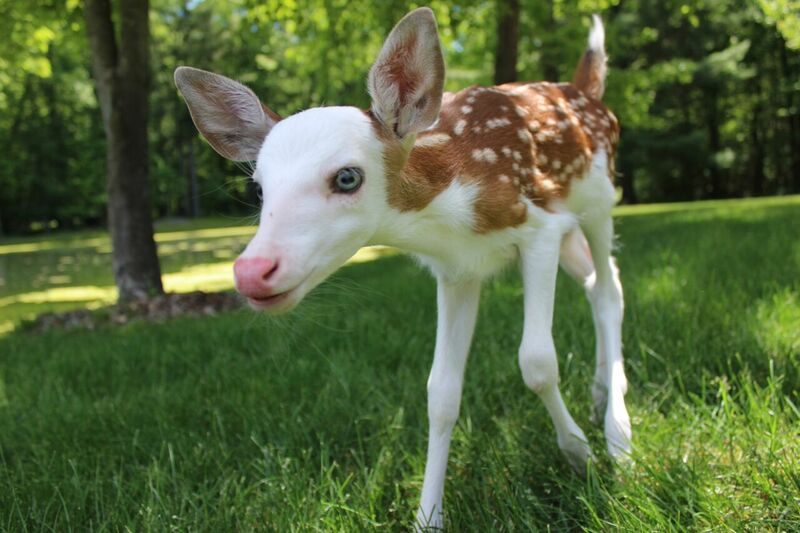 Responses to "World rarest white-faced fawn, rejected by mother, finds new life"
The most Adorable fawn i ever saw! Well done to the rescuers. What a beaut! 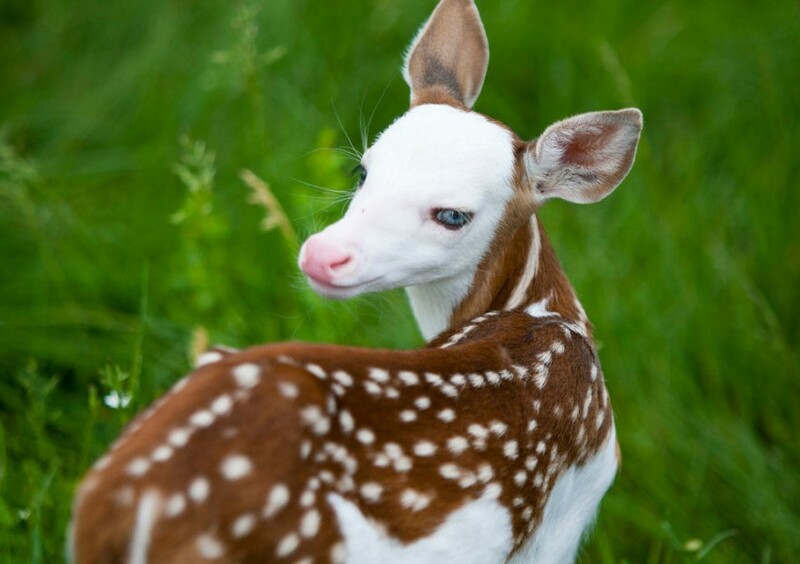 Such a beautiful little fawn. I hope he has a long & healthy life. Thank you for sharing this . Would love to see a posting of this little guy when grown up. Well this baby be protected at all time from trophy hunters? 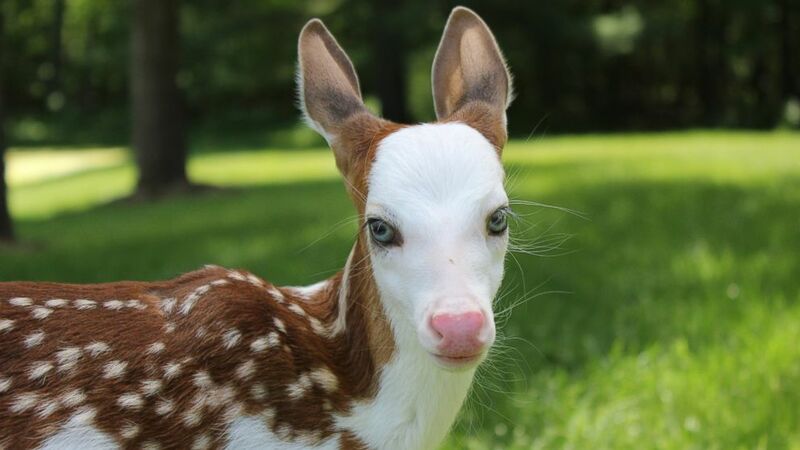 The most beautiful fawn I have ever seen. Thanks for caring for him and loving him.